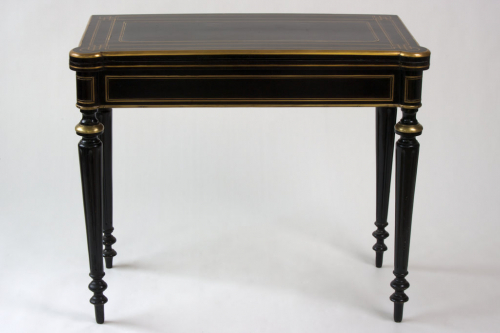 French ebonised table dating from the 1860`s-1870`s, with extensive brass inlay. Top opens and revolves to reveal a blue felt card playing surface. Table and felt in very good condition.